I have had quite a week (OMG TODAY Show!!) and am back in Seattle as of last night and looking forward to two TV spots tonight on KING5 (Please tune in at 4pm to the evening news!) where we are going to be celebrating the start of the Olympics! The Olympics are always my very favorite thing, and I feel like my kids are finally old enough to enjoy them as much as I did when I was young. And the Summer Olympics have all my favorite stuff- swimming, gymnastics, track and field, and then this summer there will be fencing. Although I suspect we will wind up tracking that down on line- I don’t suspect it’s going to be getting prime time coverage. Side Note: Quick question for you guys- has anyone out there ever been to the Olympics (as a spectator, I mean!) I would love to take Pia in 4 years when it’s in LA to watch the Olympic Fencing, but is that wishful thinking?! 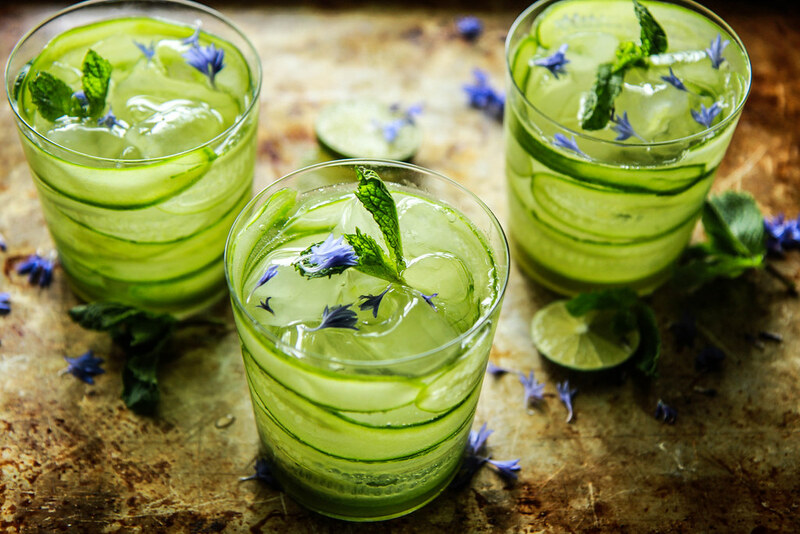 Ok- So when I am done with all this work tonight, I plan to settle in to watch the Opening Ceremonies with one of these gorgeous, refreshing Cucumber Mint Gin and Tonics. 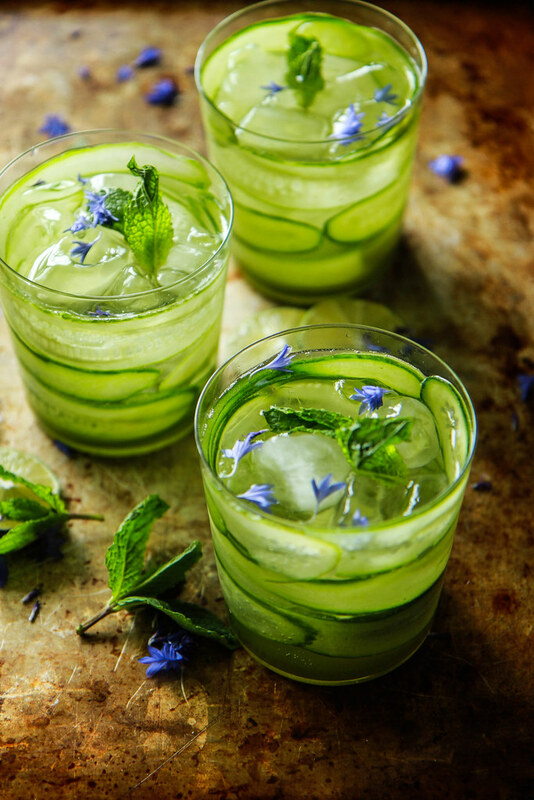 You could not find a more Summery drink, and the way that the cucumbers are arranged and the brilliant green of the mint make it quite festive as well! Perfect for your next hot summer night at home, or when entertaining. Add everything to a small pot and bring to a simmer, cooking for 3 minutes until the sugar has dissolved. 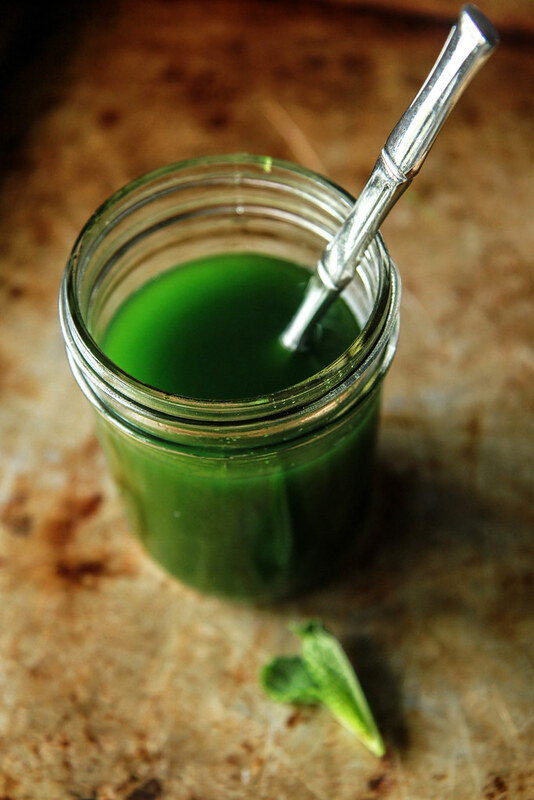 Transfer to a blender and puree on high and then strain (or don’t if you don’t mind little bits of mint) into a mason jar. Refrigerate until chilled. 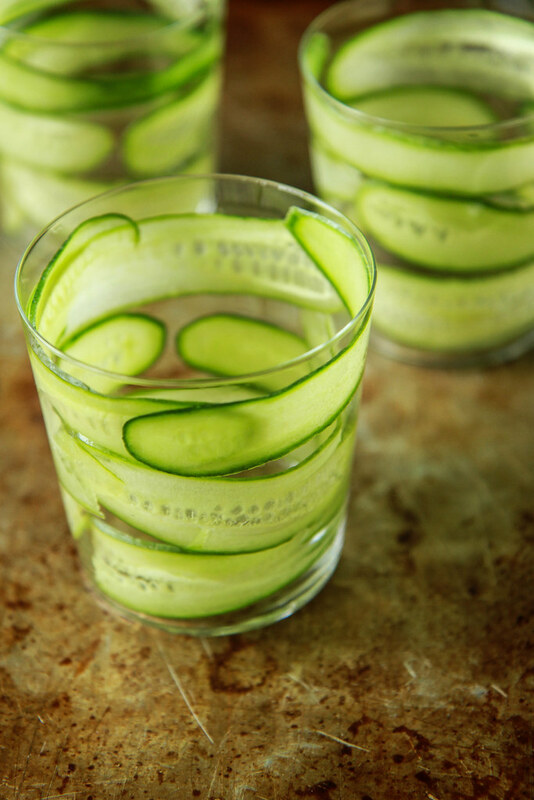 Thinly slice Persian cucumbers lengthwise. You could slice them that way with a really sharp knife or on a mandoline. 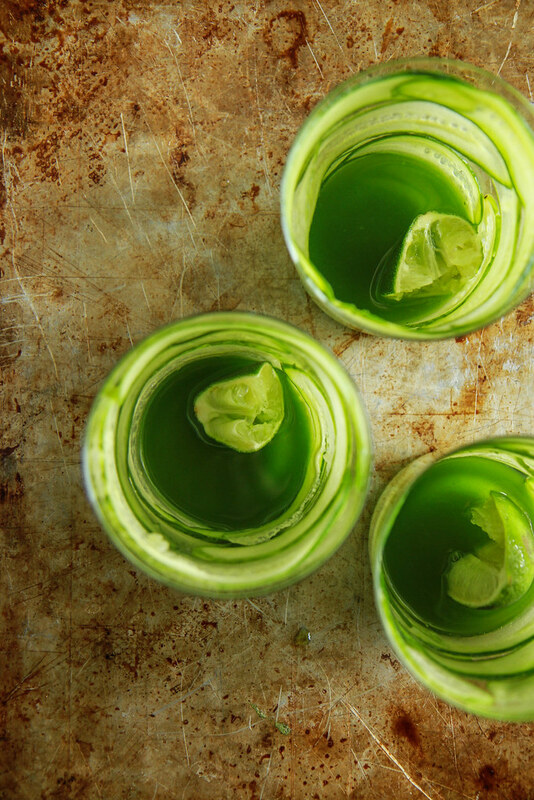 Wrap them around the inside of a glass- they will naturally stick to the sides. Add 2 tablespoons of the mint syrup to the bottom of each glass. Squeeze the lime wedge into the syrup. and top with the tonic water. 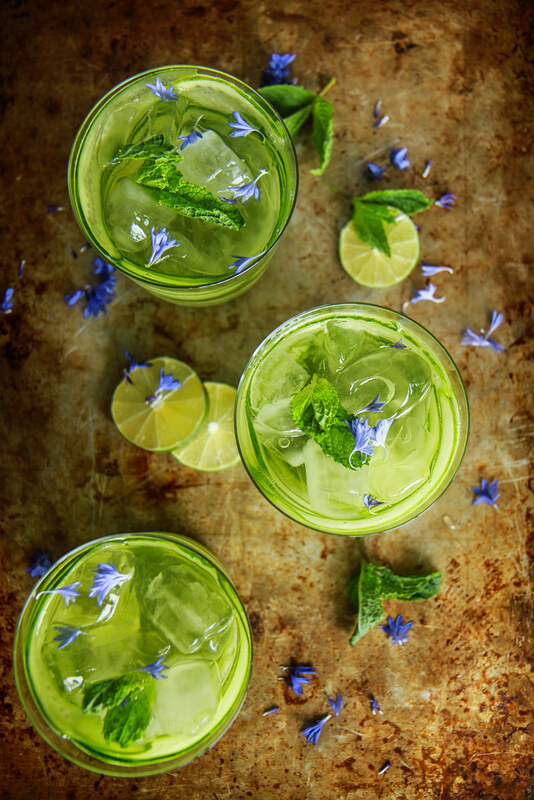 Garnish with a little fresh mint if desired. Add 2 tablespoons of the mint syrup to the bottom of each glass. Squeeze the lime wedge into the syrup. 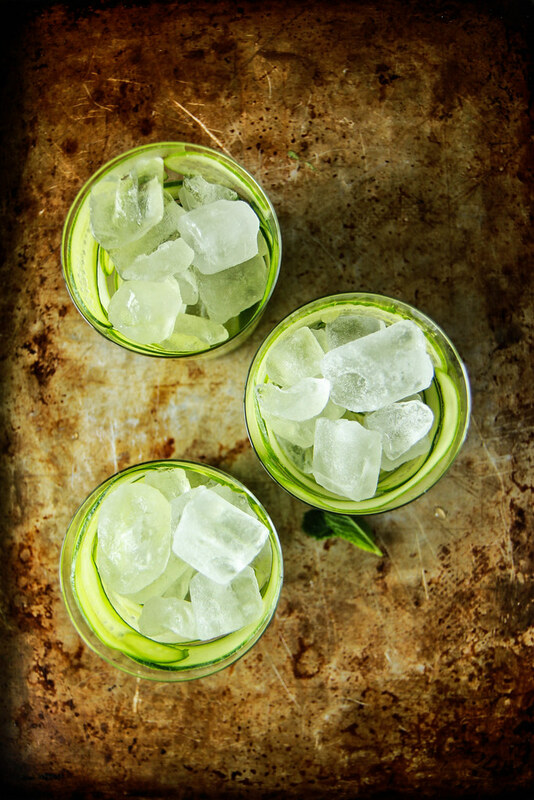 Add the gin and then fill the glass with ice cubes and top with the tonic water. 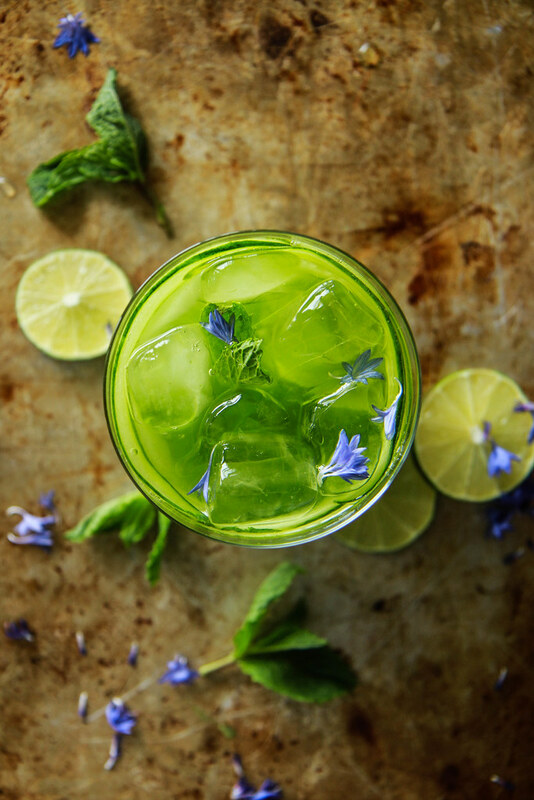 Garnish with a little fresh mint if desired. HELP! I purchased “pure delicious” only to discover that many recipes contained coconut products. I am allergic to coconut! What are possible substitutions? I don’t think that I am dairy sensitive. Hi Sandra- You could use dairy if that is fine for you, but also there are plenty of other non-dairy milks available. Almond (if you do not have nut issues) there is also rice milk, soy milk (again if not a problem for you), hemp milk and quinoa milk. I don’t use coconut flour, and the oil can be subbed for vegetable oil in cooking. Does that help? Sandra- please let me know if you have more questions about specific recipe substitutions.